Brought back from the Cole and Son archives so a new generation of homes can enjoy the beauty of this large-scale, elegant design, this Butterflies and Dragonflies wallpaper will create a statement wherever it is hung. The large-scale design brings an enchanting and magical atmosphere to any room in your home. It is a perfect fit with the other wallpapers in the Whimsical Collection as the whole range is made up of designs which are inspired by the classic stories of childhood and curious patterns and motifs. The large graphical butterflies and dragonflies stand out proudly wherever they are hung in the modern home. 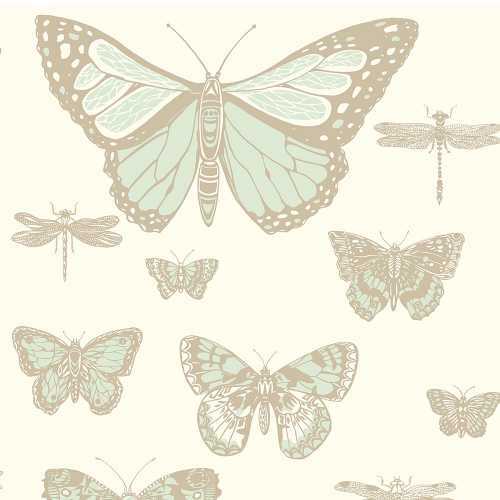 In this 130/15065 colourway, the graphics are picked out in a gentle egg shell blue on a warm neutral background. 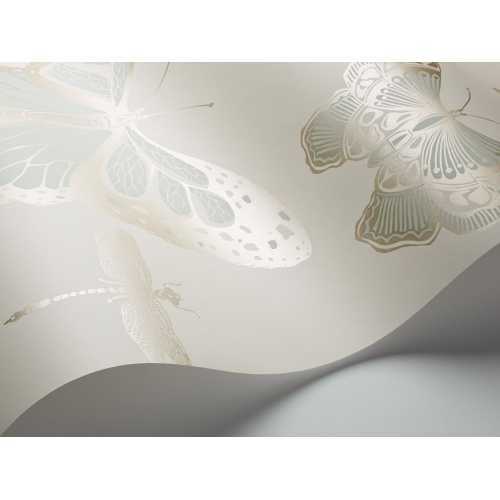 The butterflies and dragonflies also feature metallic accents which catch the light and shimmer gently, adding an even more sophisticated feel to the design. Each roll of Butterflies and Dragonflies wallpaper measures 52cm in width and 10 metres in length. It has a half drop pattern match and a 72cm pattern repeat. For more information about the designers behind this piece and to take a look at the rest of their collection, please visit our Cole and Son brand page.